This Card is issued and managed by Little Starts Gift Vouchers Limited company number 11149533 (‘we’ ‘us’ ‘our’). In these conditions ‘you’ are the Card purchaser or user and ‘your’ shall be construed accordingly. ‘Card’ shall mean the Little Starts physical gift card or e-voucher you have purchased or been the recipient of. 1. By using the Card, you agree to be bound by these terms and conditions. If you bought the Card for someone else, then you must advise them that these terms and conditions are available online at www.littlestartsgiftcards.com/termsandconditions.You should retain the original order number and gift card as these may be required to provide you with customer services or to assist with errors or if your Card is lost or stolen. 2. The Card is a prepaid gift card that is activated once purchased. It can only be used for purchasing activity services with activity providers participating in the Little Starts programme with whom we have commercial agreements requiring acceptance of the Card (“Activity Providers”). The activities these Activity Providers run which the Card can be used with are listed at www.littlestartsgiftcards.com/searchactivities (“Activities”). Activities (including times, days, locations, charges and whether they are listed at all) and Activity Providers are subject to change. Please check the current list of Activities before seeking to make a booking with an Activity Provider. The Card can only be used with Activities delivered by the listed Activity Providers for children aged 0-5 inclusive, unless the Activity Provider agrees otherwise. We can make no guarantee as to availability of particular Activities with which you may wish to use your Card and so to avoid disappointment, we advise that you always contact the relevant Activity Provider in advance to establish availability and book your place before attending. The Card cannot be used at ATMs or over the counter at financial institutions and does not allow cash out. The Card is not a credit card and is not linked to a deposit account. 3. The minimum balance that can be loaded onto your Card is £10 and the maximum is £200. In certain situations, we may need to view your identity documentation before issuing a Card to you, in order to comply with our obligations to identify our customer. There are no fees associated with the Card unless you are permitted to receive a replacement card in which case you will be advised of any such fees at the time you request it. 4. In the event that you wish to make a purchase at a cost which exceeds the available balance on your Card, you will need to pay the balance to the Activity Provider by another method. 5. The Card is not reloadable and is valid for twelve (12) months from the date of activation. It cannot be used after expiry. At expiry, the remaining balance will be forfeited. We will not give you any notice before this happens. 6. The Card cannot be used to obtain or redeem cash and cannot be used for making direct debit, recurring or regular instalment payments or for purchasing foreign currency. Authorisations may be declined with certain Activity Providers (for example if there is not a place available for the relevant Activity or there is not sufficient value on the Card and any balance has not been paid). We are not liable in any way when an authorisation is declined for any particular transaction except where the authorisation has been declined because of an act or omission on our part. 7. The Card is like cash and cannot be replaced if misused, lost, stolen or damaged and no financial compensation scheme exists with respect to the Card. You are responsible for all transactions on the Card, except where there has been fraud or negligence by our staff or agents. If you notice any error relating to the Card or you lose your Card then you should contact customer support immediately at admin@littlestartsgiftcards.com. 8. If you have a problem with an Activity purchase made with a Card, or a dispute with an Activity Provider, you must deal directly with the Activity Provider involved. 9. We may restrict or stop the use of the Card if suspicious activities are noticed or we do not receive funds from you in the full amount of the activated balance on the Card. 10. Any refunds on Card transactions are subject to the policy of the relevant Activity Provider. If the Card expires or is revoked before you have spent any funds resulting from a refund (whether or not the original transaction being refunded was made using the Card), then you will have no access to those funds. 11. You are responsible for knowing your available balance. You can review your balance and spend history at www.littlestartsgiftcards.com/checkbalance (free of charge). We reserve the right to correct the available balance of your Card if we believe a clerical or accounting error has occurred. 13. If you purchased the Card online then you may cancel the purchase within 14 days of the date you receive the Card in line with our Returns Policy set out below. 14. We reserve the right to change these terms and conditions at any time. Any changes to these terms and conditions can be viewed at www.littlestartsgiftcards.com/termsandconditions. 15. If for any reason we cease trading and your Card can no longer be used, you will be entitled to surrender and redeem your Card to the amount of its available balance at the time of redemption. In such circumstances please email admin@littlestartsgiftcards.com. 16. Where you make a booking or pay for an Activity with an Activity Provider using a Card, a contract is formed directly between you and the relevant Activity Provider; we are not a party to such contract. We make no warranty or representation whether express or implied with respect to purchases made with the Card (including but not limited to any warranty for quality or fitness for a particular purpose), availability for usage for a particular Activity or with a particular Activity Provider, or whether the Card will be accepted or accessible. We will have no liability for unauthorised access to, or use of, your Card or for any delay or inability to use the Card or if we have suspended use of the Card in accordance with these ts and cs. Nothing in this agreement limits our liability for anything that cannot be limited or excluded at law. 17. We are incorporated in England and Wales with company number 11149533 with our registered office for correspondence at 70 Commerce Street, Melbourne, Derby DE73 8FT. We are registered with the Financial Conduct Authority under the Electronic Money Regulations 2011 (ref: 902035) for the issuing of electronic money. The laws of England shall apply to these terms and conditions and the courts of England shall have exclusive jurisdiction over any disputes arising out of them. ‘Card’ means the Little Starts hard copy gift card(s) or Little Starts e-voucher(s) You have purchased. ‘You’ means the purchaser of a Card and ‘Your’ shall be construed accordingly. ‘We’ means Little Starts Gift Vouchers Limited of 70 Commerce Street, Melbourne, Derby, DE73 8FT and ‘Us’ shall be construed accordingly. ‘Working Days’ means any day Monday to Friday that is not a Bank Holiday in England. 1.1 You have the right to cancel an online order for any reason within 14 days beginning with the day the Card is delivered, if the Card is unused. Costs of returning the order are for Your account. 1.2 To cancel the order You must notify Us via email to admin@littlestartsgiftcards.com specifying the Order ID and Card number(s). We will handle all cancellation requests within 3 Working Days. If the cancellation is approved, We will confirm the cancellation and provide further instructions including the cancellation form via email. The Card(s) will be blocked within 3 working days of the cancellation request and can no longer be used from then on. iii) The Card is received in good order by Little Starts and is accompanied by the cancellation form. ii) The electronic gift card is unused, i.e. still has the original face value up until it is blocked. 1.5 We will refund the value of the cancelled Card(s) within 14 days after the hard copy gift card has been returned via post, or within 14 days of receiving the cancellation form of the electronic gift card. The Card(s) will only be refunded if the above requirements are met. The order will be refunded to the same bank account as was used to pay for the order. 1.6 The order shipping costs will only be refunded where the full order has been cancelled. We will only refund the standard shipping costs. Any amount paid for shipment above the standard shipping costs will not be refunded. 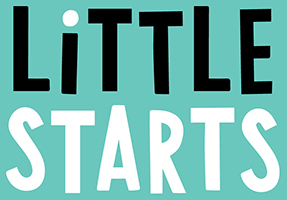 If you are not satisfied with any aspect of the service offered, please email Customer Services at admin@littlestartsgiftcards.com or send us a message via our ‘Contact Us’ page. Please include the address at which you would like us to correspond with you. A copy of the complaints procedure is available on request. The European Commission has established an online dispute resolution platform (ODR platform) which is specifically designed to help customers resident in the European Union who have been unable to resolve a complaint with traders established in the European Union from which they purchased goods or services online. You can submit your complaint online through the ODR platform in any of the official languages of the European Union. The platform will then send your complaint to the FOS for an independent review within 90 days. our location: Little Starts Gift Vouchers Limited, 70 Commerce St Melbourne Derby DE73 8FT.